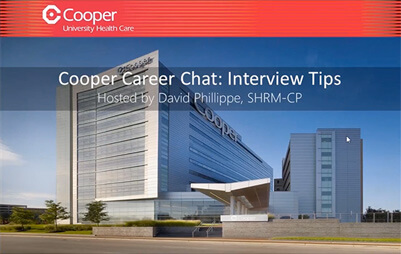 Hear from Cooper recruiter Dave Phillippe as he provides insight about the interview process and provides preparation tips. Interested In Search for a category, location, or category/location pair, select a term from the list of suggestions, and click "Add". All content © 2019 Cooper University Health Care.